Download our Policy Papers here. 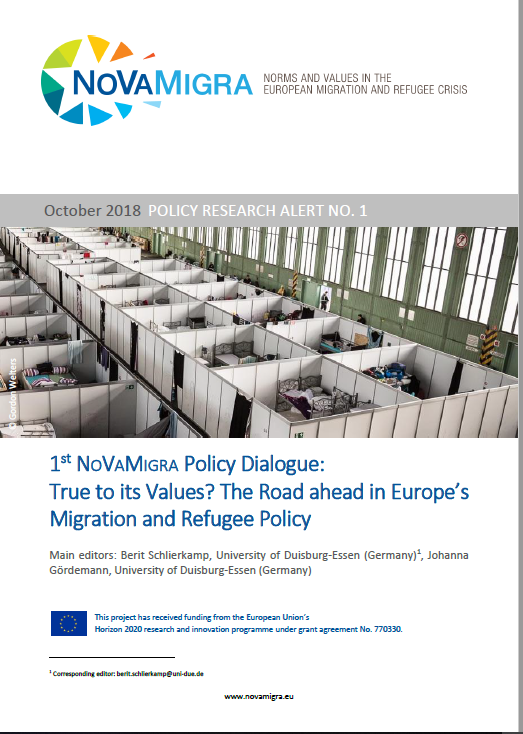 The first NOVAMIGRA Policy Dialogue sought to identify the major challenges to a unified approach to migration and asylum in the European Union. Which are the requirements and particularities on the local, member state and European Union level any migration policy must meet? Do values claim the same motivational force on the level of policy-making? Is there a moment where normative arguments play a role? Or has value-based policy-making been replaced in favour of crisis management? These were some of the questions discussed with representatives from the European policy level, who shared their experiences and actively engaged in discussions with the researchers and other stakeholders in the policy dialogue.